-You may key in the functions f and g box to vary the functions. 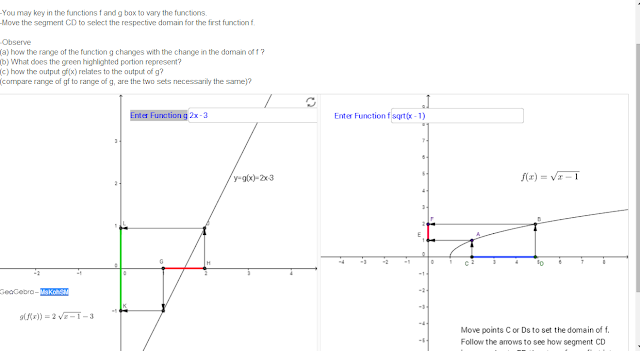 -Move the segment CD to select the respective domain for the first function f.
(a) how the range of the function g changes with the change in the domain of f ? (b) What does the green highlighted portion represent? (c) how the output gf(x) relates to the output of g? (compare range of gf to range of g, are the two sets necessarily the same)?